Salatiel Livenja Bessong (aka Salatiel), a Camerounese (LRC) music artist (from Kribi), but born and bred in Southern Cameroons (Tiko County), has unleashed his true malicious attentions for the Southern Cameroons music world. He has metaphorically told the world that he is on a mission to diffuse the vibrant Anglophone music culture into the colonialist French culture. The up-and-coming Camerounese singer and record producer, shared a live video (on Facebook), Sunday November 19, 2017 discussing mostly in the French Language. That question (who told you Salatiel is an Anglophone??) clearly exposes the misconception that many people have about the term “Anglophone Cameroonian” hence, the reason why president Biya and his cohorts are unfit provide a lasting solution to the Anglophone problem, hence, secession the only option. Many Cameroonians (especially Mosunge. Issa Tchiroma and many members of president Biya’s administration) believe that an Anglophone Cameroonian is a person who can fluently speak the English Language which isn’t true. The term Anglophone Cameroonians can perfectly be defined as a group of people who share a common culture, values and history. In other words anybody who can fluently speak the English language but doesn’t share a common culture and history with the South Westerners and North Westerners isn’t qualified to be called an Anglophone Cameroonian. You can either call that person a bilingual person or an English literate. So just like Salatiel said, you guys really need to do your homework. In my own opinion, this wide misconception of the term “Anglophone Cameroonian” and “bilingualism” is one of the main reasons why the Anglophone problem won’t be solved through the establishment of a two state federation but through secession. For example if Cameroon becomes a 2 state federation, many LRC Chameleons like Salatiel (who can fluently speak the English but doesn’t share the culture and values of the NW and SWesterners) will camouflage and infiltrate the Southern Cameroon local government giving rise to another Anglophone problem. So the ultimate solution to the Anglophone problem is secession. Let me give you a brief history of the Alpha better records so that you can easily understand the message I’m trying to pass. When Salatiel (a Francophone) founded the record label; Alpha better records in Buea way back (in September, 2013), he knew that it wasn’t going to be easy to make it in Southern Cameroons as a French Cameroonian. So he camouflaged as an Anglophone Cameroonian in order to infiltrate the Southern Cameroon music market. In 2014 Salatiel used a decoy track titled E GO BETTER by Mr Leo to infiltrate the Ambazonian music market. After E go better was released under Alpha better records, many Cameroonians thought that Alpha better records was founded by an Anglophone Cameroonian especially due to the fact that Salatiel was a fluent English speaker, the name of the record label was in English language and above all, the lyrics of Mr Leo E go better song clearly suggest that Mr Leo was born and raised in Southern Cameroons. Due to the above facts, the Southern Cameroonians gave Salatiel their full support. After the E GO BETTER song became a huge success or after Salatiel succeeded in infiltrating the Southern Cameroon market bringing the Alpha better records under the spotlight, he mutated his Anglophone artists to French artists. Today more French titled songs like On va gere, Partout, Ma valeur, Qu’est qui na pas marcher, jamais jamais and other French musical noise have been released by the label and more will be released in future. 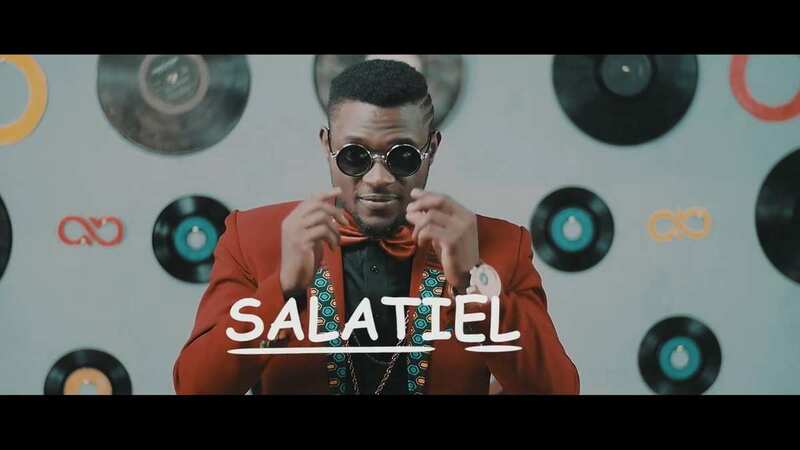 In addition to that, Salatiel has infuenced other artists outside his label like Daphne, Ambe, Meshi, Blanche Bailly and many other artists to sing more in the French language. Summarily (in conclusion), if Cameroon becomes a two state federal state, English literate administrators from the French regions of Cameroon will still infiltrate the Southern Cameroon local government and still propagate the French culture and values in Southern Cameroon. So we the Southern Cameroonians really need to do our homework just like the so called Alpha better records boss said. We the Southern Cameroonians really need to master the difference between the terms “Anglophone Cameroonian” and “Bilingualism”. This clearly indicate that, just like Issa Tchiroma had once said, the Anglo Saxon culture will be assimilated into the Francophone culture so a new Cameroun is form. Salatiel is on a desperate mission to achieve that in the cultural world, while his counterparts are doing so in politics and education. But they shall not succeed. It is slow infiltration. The aim is to wipe out everything which makes us one people. Time to separate from those champagne nippers. Managing Editor, BaretaNews, the word is separation and not secession please whenever you are referring to SC and LRC. If Litoral wants to break away from LRC ie secession. Thanks for correcting Mr. Muma, Managing Editor, BaretaNews. He should know better. u guys should really do ur home work as that young man said.Mr editor politics is politics n music is music. please do not get me wrong but all of u are talkung blindly without knowing or prentending not to know what made Salatiel the star he is. Please let the young man be 4 if we want to susceed we have to look inside the inner most core of those representin the struggle 4 they are the ones sellin us out . Once that is done then u have a start. Home first then outside and stop lookin to report inrelevant news by talkin about salatiel, Mr Lucas mayb saletiel carry ur chap n thats why u di make e more popular.